WASHINGTON, D.C. (NBC) – After 22 months in the making and causing deep political division around the country, Special Counsel Robert Mueller’s much-anticipated Russia election interference report has been handed over to the Justice Department. Mueller was appointed in May of 2017 by Deputy Attorney General Rod Rosenstein to investigate alleged Russian interference in the 2016 presidential election and whether members of the Trump campaign were working with Russian officials. Mueller’s investigation has already led to indictments of 34 people. Among them were six associates of President Trump, Including former National Security Adviser Michael Flynn, former Campaign Chairman Paul Manafort, longtime political advisor Roger Stone and Michael Cohen, President Trump’s former attorney. Those public indictments were on charges ranging from bank and tax fraud to making false statements. So far, they do not allege coordination between Russia and the Trump campaign. 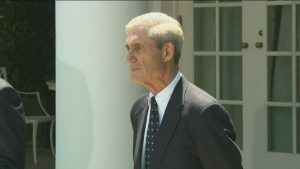 Mueller’s work is ending, but likely starting another battle over when or how much of it will be seen. This is likely teeing up another battle as congressional Democrats are not ruling out subpoenas of the report, or even Mueller himself.